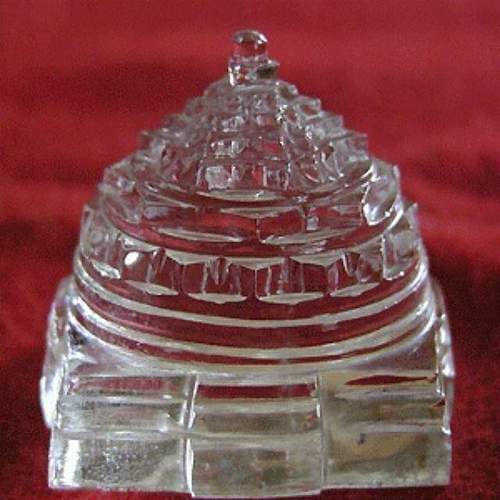 In ancient times, Shri Yantra was very popular amongst the business class and the affluent class. It was symbolic of prosperity and good fortune. It is indicative of Devi Lakshmi, the Goddess of wealth. The Sphatika Shri Yantra helps in cleansing all negative energy. It is one of the most auspicious, important and powerful Yantra which is beneficial for everyone. It fulfills all wishes and worldly desires and bestows mental strength. Shri yantra helps us enhance concentration, increase our intellect, attain success, affluence, harmony and peace.